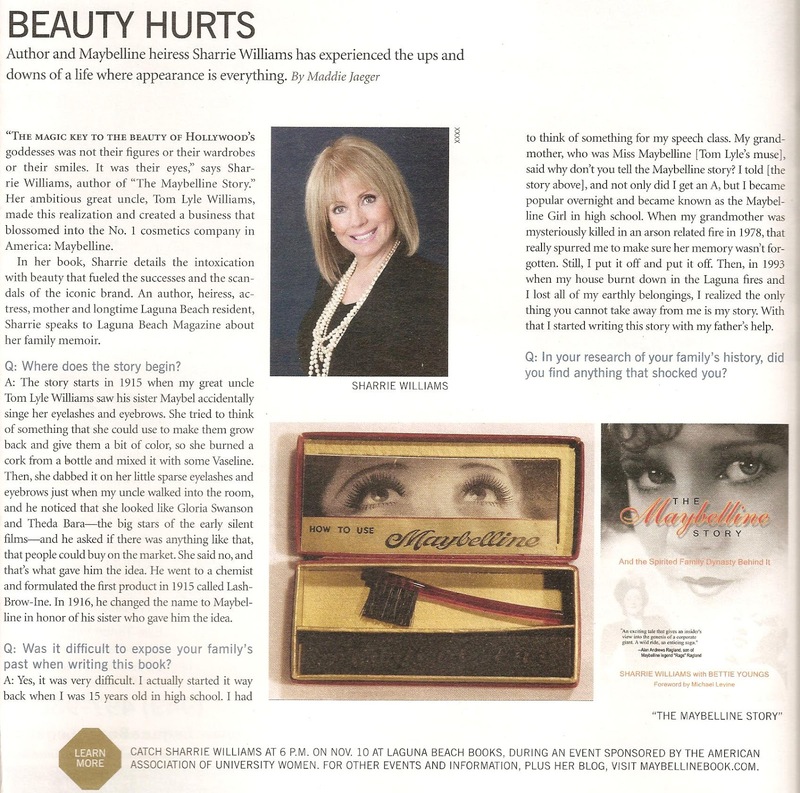 THE MAYBELLINE STORY : Maybelline Story featured in The Laguna Beach Magazine. 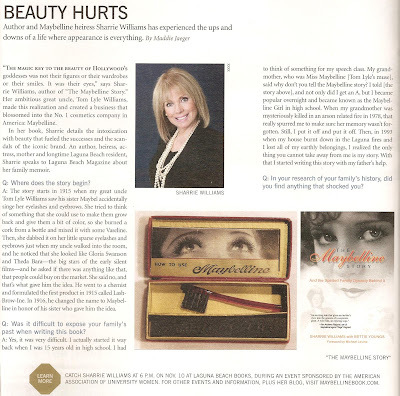 Maybelline Story featured in The Laguna Beach Magazine. In Laguna Beach, for dinner with my sister Donna, we stop off at Casey's Cupcakes and WOW! You have to try it for yourself!! 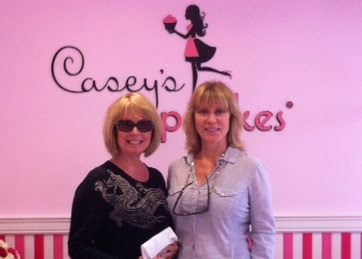 Sharrie and Donna Williams at Casey's Cupcakes. Casey Reinhardt, a born and raised Laguna Beach girl, starred in the popular reality show, Laguna Beach and The Hills. She opened Casey's Cupcakes in her hometown, and I have to say, her drop dead gorgeous shop is about the cutest thing I've ever seen. The fresh flowers alone were so magnificent, I had to sit down and soak up the atmosphere while enjoying the best chocolate cupcake ever. Check this fun video - see what Laguna Beach looks like, and meet Casey. The Maybelline Story makes it's way into an article in The Sept-Oct issue of Laguna Beach Magazine and announces my One Woman Show for the American University Women's Club Nov. 10th, at 6:00 at the Laguna Beach Book Store. More will be posted for anyone interested in attending the event.